The upstairs warm room at the Barn. Tables still on order. If you happen to catch CJ Demmons in an idle moment, that's pretty rare this summer. 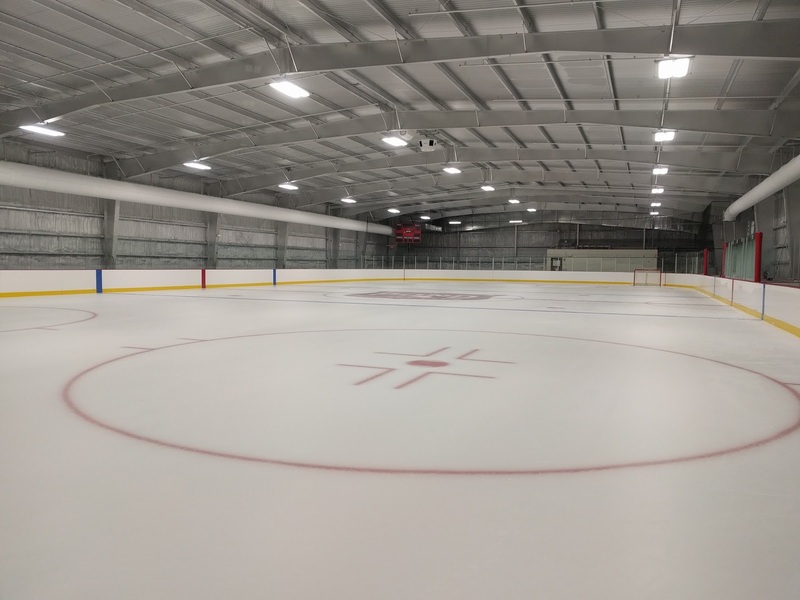 The general manager of the Pond Hockey Club in Austin has been working feverishly with his team and a collection of contractors to finalize the newest sheet of ice in Austin, which will open this weekend to great fanfare. The success of their 4-on-4 sheet has led the Pond to open the new sheet, dubbed 'The Barn', next door. It's a USA Hockey regulation sheet, measuring 185 by 84 feet. 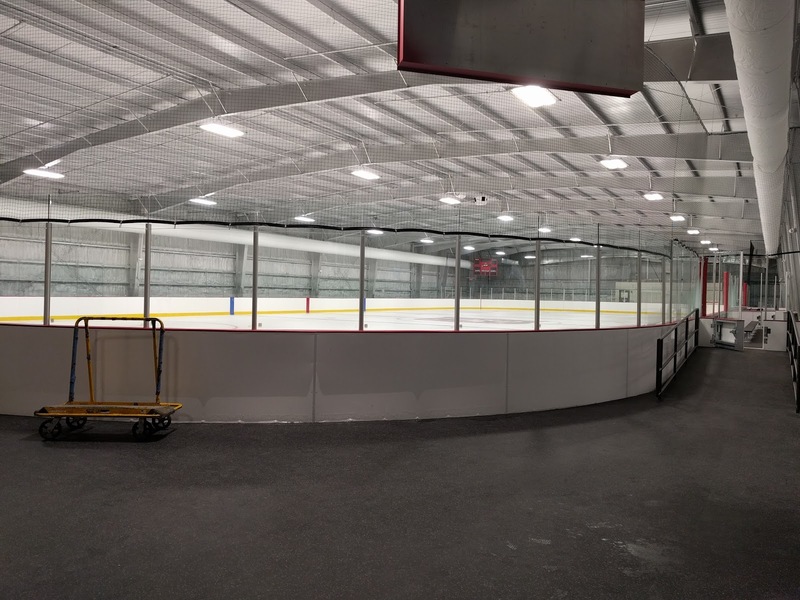 Demmons says that the new facility, and really the entire Pond Hockey experience, is aimed at making the players happy. With that in mind, they've brought a ton of new improvements to the larger sheet. For players, a highlight of the space will be new towel service for the showers on both rinks along with provided ice buckets for cooling down your post-game beverages. Speaking of those beverages, the entire facility is still BYOB. Rumours of connections to next door's Austin Beerworks didn't pan out over the TABC's rules on alcohol sales. "We're working together with Austin Beerworks," said Demmons. "We're not opposed to doing a bar, but we want to give Beerworks as much business as we can." In addition to the expansion at Beerworks, the brewery is expanding its hours to cover almost every game at the Pond. 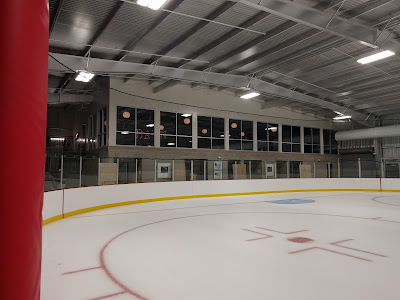 Many of the questions about alcohol at the Pond are generated by the upstairs space, a warm viewing room that perfectly resembles a neighborhood bar. Just without the alcohol. Televisions around the space get every hockey channel you can name and the kids can be occupied for hours at the bubble hockey table or vintage Galaga machine. "We already have a group wanting to use the space for the USA versus Canada World Cup game," added Demmons. Opposite the warm room, there is room for warmups next to the ice plant. Over time, this is where shooting lanes and practice areas will be added. 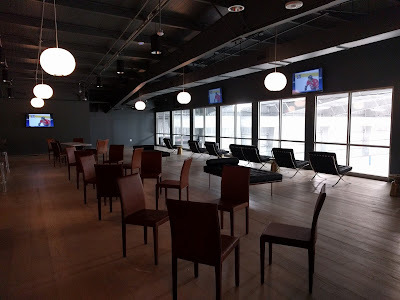 Future expansion will see the addition of 'cold' viewing area on the mezzanine level. The technology at the rink is also improving as the scoreboards are connected to the Internet. Through an app, players at and away from the rink can check scores and time remaining in games. Next time you're stuck in traffic or just having a beer next door, you'll be able to keep track of how long until it's time to suit up on your smartphone. To celebrate all of this, the Pond is throwing a grand opening party this weekend. While the adult tournament is already full, there will be plenty of opportunity to check out the space and watch the tourney. Texas Stars captain and frequent Pond Hockey drop-in player Travis Morin will do a ceremonial puck drop. 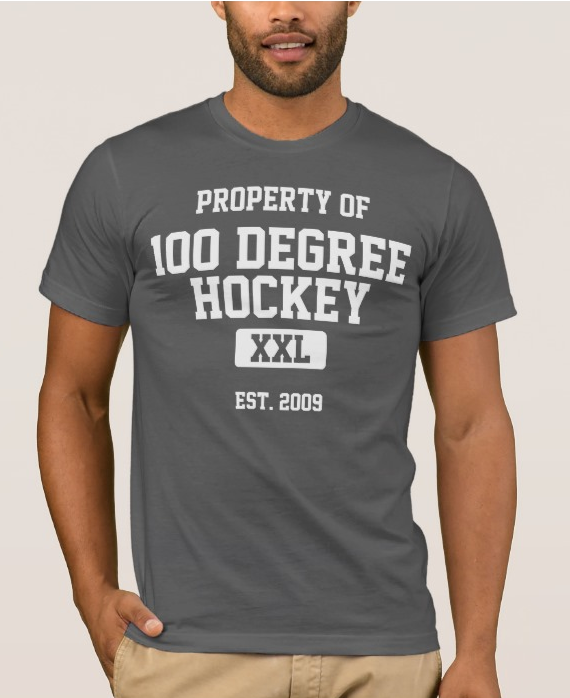 For more information on Saturday's free event, check out PondHockeyClub.com. I play at the Pond and it is a great facility. This is a place for beginners to learn how to skate and play as well as seasoned players looking for top competition. I really look forward to the expansion and tournament this weekend. I am very glad that hockey is growing in central Texas. You're right that a regulation sheet is standardized at 200x85. However, USA Hockey has a range down to 185 that they will allow for tournaments. 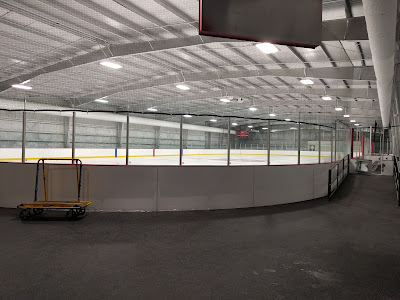 As nearly as possible, the dimensions of the rink shall be 200 feet long and 85-100 feet wide. The corners shall be uniformly rounded in the arc of a circle with a recommended radius of 28 feet. For regional playoffs and national championships the ice surface dimensions shall be not less than 185 feet by 85 feet.